Do you want to work faster, safer and more comfortable? 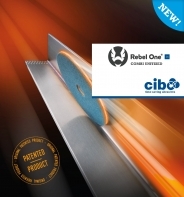 With Cibo's next generation unitized abrasives all of this can be achieved easily. You will get beter results on the finishing of your stainless steel and non-ferrous metals, in less time, with very limited risk on grinding errors and with more comfort. When using unitized you can give components a particular finish, without affecting the geometry of the work piece or grinding down the sinking. This means that there will be no impact on your critical tolerances. The grinding action is cooler than “coated” and “bonded” abrasive materials, meaning there is less chance of deforming or discolouring the work piece. Unitized achieves a uniform, consistent and replicable finish. Removing milling lines and welds, deburring. More aggressive than the S-line, with a slightly rougher finish. Aggressive grinding with fast and controlled stock removal. Aggressive and extremely hard quality. Fast and controlled stock removal with acceptable finish. Removing weld discoloration, varnish and coatings; structuring. Removing scratches and correcting sanding errors, pre-polishing. Wide range of application uses, most universal quality. Download the leaflet for more information! Quick, easy, and risk-free removal of a weld seam in an inside corner and finishing to perfection; who would not want that in times when the requirements for a better finish are constantly increasing? The existing unitized range already paved the way thanks to its increased control. 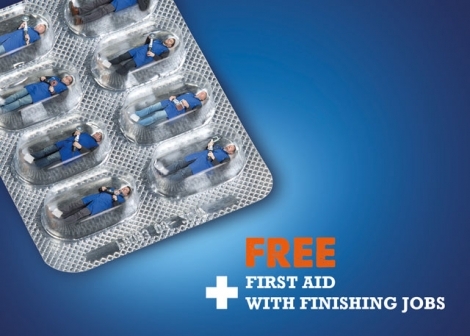 But now there is Combi unitized: one-step finishing at its best! 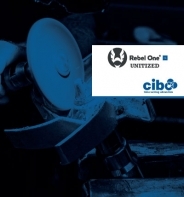 "REBEL ONE, the next generation unitized"
Are you looking for a partner to talk things through? One that gives you specific tips and tailored advice? One that is flexible and gets you out of trouble at the last minute? Then choose Cibo and leave all your worries behind. Our team of application experts is there to tackle every grinding emergency. They are not only sales people, but also trained advisors, with the knowledge to support you in word and deed. They will happily come and visit you, with no obligation, to help you find the most suitable solution. So, in short, we are at your service whenever you need us! We will happily take over the worry of all your sanding, grinding, and polishing activities, allowing you to focus on your core tasks.